World War I (WWI) was a global war centered in Europe that began on 28 July 1914 and lasted until 11 November 1918. It was predominantly called the first World War. 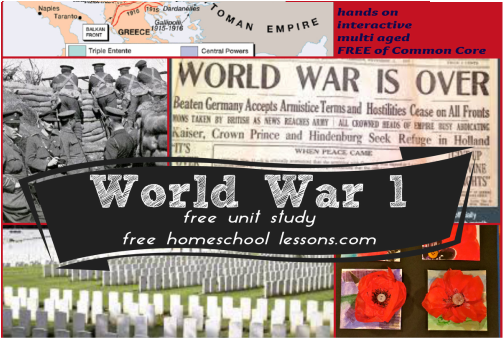 Find a huge collection of World War I home school resource links, including lessons, worksheets, downloads, and and multi media to help all types of learning styles enjoy history lessons. The majority of the links are free!! There are a few high quality resources that shouldn't be missed! 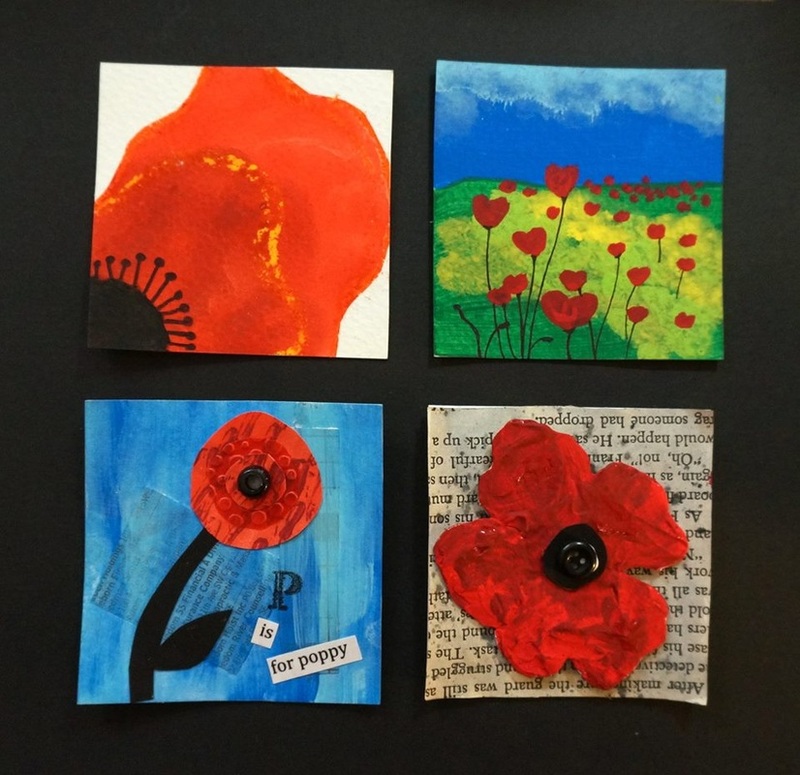 We will share our reviews of these materials as we study World War 1 in a one room school house fashion. Included is our actual weekly unit study guide using online free resources teaching students grades 3 - 10th. *not all resources will be used for younger students. One way to remember the FOUR main causes of World War I is to remember the acronym M – A – I – N. (M = Militarism, A = Alliances, I = Imperialism, and N = Nationalism.) MILITARISM was one of the four major causes of the war. It was an “arms race.” Because Britain had a large navy, Germany wanted a large navy too. Very simplified but gives us a nice organization to explore a huge piece of history. 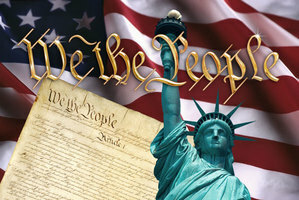 My main source of material for these topics will come from History On the Net. A nice collection that is easy to view/print.